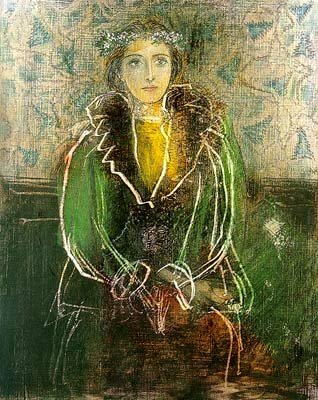 Pablo Picasso (Spanish, 1881-1973): Dora Maar with a Crown of Flowers, 1937. Pencil, pastel and scratching drawing, 11-1/2 x 9-1/4 inches. Private Collection. © This artwork may be protected by copyright. It is posted on the site in accordance with fair use principles.